Wrong mine. Wrong place. Plain and simple. Despite over a decade of opposition, the agency reviewing the permit application for the massive proposed Pebble mine in Bristol Bay, Alaska recently moved the mega-project one step closer to reality. Without our help, the project is currently on track to begin digging a massive hole at the headwaters of Bristol Bay. The process to review Pebble’s permit application leaves Alaskans and anglers worldwide filled with skepticism in the wake of recent environmental disasters associated with large-scale tailings pond failures and as the Agency findings of Pebble’s plan include permanent destruction of more than 80 miles of streams and 3,500 acres of wetlands. What’s more, the current permit application considers only Pebble’s phase one plan. Risks posed by the entire project have yet to be fully evaluated, though the mine is closer than ever to reality. 2019 is a critical time for us to once again say, “wrong mine, wrong place.” If this permit is issued and the mine advances, millions of acres of additional mining claims would be open to development across the region. Please comment to the agency considering Pebble’s phase-one permit. Tell them the Pebble mine has no place in Bristol Bay. Then send this link to your friends. Trout Unlimited has been fighting to protect Bristol Bay from the Pebble mine for over a decade. As salmon runs decline globally, Bristol Bay important not only as a powerhouse for wild salmon, but also the engine for local and international fish-based economies. With the threat of the Pebble mine and other hard rock mining proposals on adjacent state and federal land, now is the time to act to protect one of our greatest treasures. 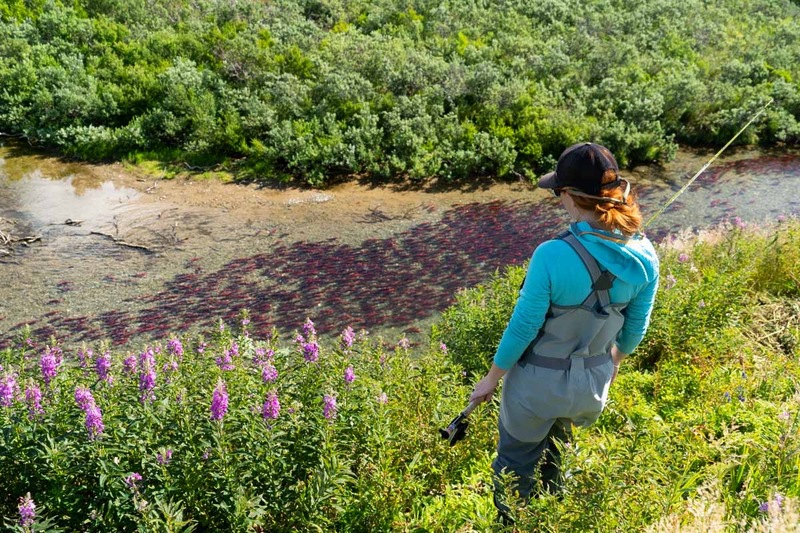 Find the latest on Pebble’s proposal, the status of the campaign and how you can help on the blogs of Trout Unlimited and our Alaska-based partner coalition, Save Bristol Bay. Rainbow photo by Tim Romano. Stand up for Bristol Bay today! 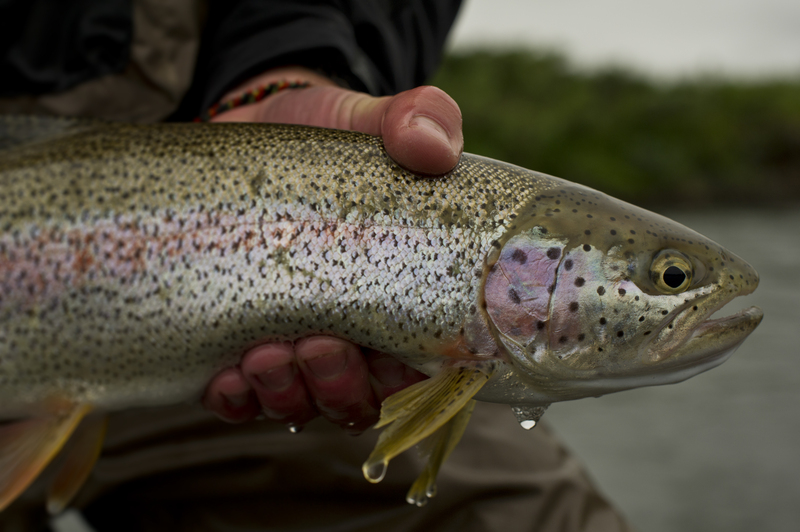 What’s at stake in Bristol Bay? Recreation and tourism spending in Bristol Bay brings in $90 million annually to the state through taxes and licenses.